How does a kid become a Third Culture Kid? A person who spends a significant amount of their formative years living in a culture other than that of their parents. TCK’s are often described as feeling a connection to all of the countries in which he or she has lived, while not having full ownership in any of these cultures. Traditional TCK’s are often described as military brats, missionary or embassy kids who are also often expected to represent an “institution” or simply be an “ambassador” for their passport countries while living abroad. These days, more and more non-traditional types of TCK’s are growing into strong-minded men and women such as children of immigrant parents, children of inter-cultural marriages, or even kids who move often within their home country. 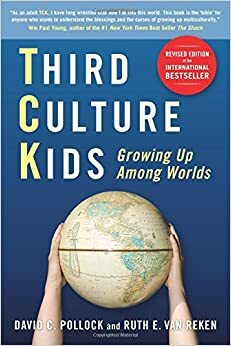 Children who spend their formative years not just seeing, but living multiple cultural perspectives fit into the TCK category, and are a rapidly growing global population. For a closer look at TCK’s and how to support them, view my post, “Third Culture Kids Explained: A Presentation for all supporters of TCK’s.” Or just check out the presentation, originally presented to International Educators at NESA Spring Conference in Bangkok 2014, below. It’s currently the best publication on the topic, full of anecdotes and research. I’m sure one of these days an aspiring TCK writer/researcher out there will write an updated version (me???) but this will always be considered the book orginally helped we TCK’s an identity. I remember being required to read this book in my graduate course on “Cultural Foundations of Education” and feeling the strange, and exhilarating feeling that incredibly, this book was telling MY story! A story that I had always either had to simplify or brush over or deeply explain in order to make others understand. There was a book about ME! And it was helping others understand me! There’s no other feeling like this for a TCK.